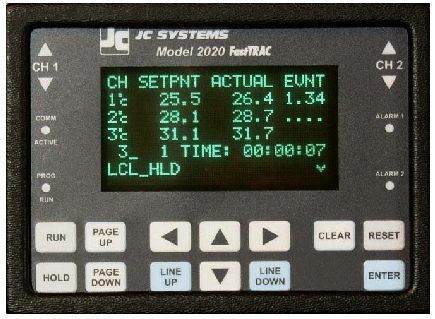 The Control Logic of the JC Systems Environmental Controller was written entirely in MOSAICA. It is a complex chamber and process controller with 3 channels of analog input, 8 channels of digital input, 6 channels of analog output and 16 channels of digital output. It has three independent control loops, plus a patented FastTRAC method to cascade an additional feedforward control loop. Setpoints can be provided either from manual settings, or by its internal autosequencer with ramp/soak profiling, looping, goto, goto if, and pause steps, events and alarms and other features. Any input and any output can be configured to any of the input and output functions respectively. You can see that extensive use of the MOSAICA Switch Object is used here. 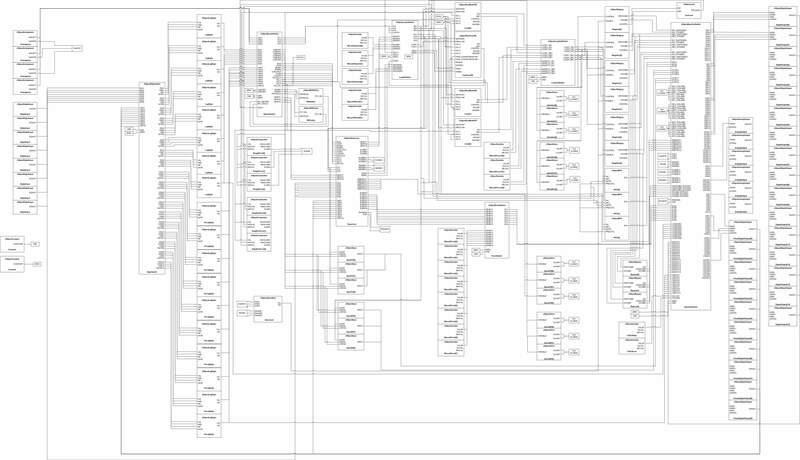 The MOSAICA object diagram for the entire JC Systems controller is shown below. The sales literature in this PDF File describes its capabilities in more detail. For a simpler MOSAICA system see the hypothetical PID controller shown in EXAMPLE1 . For more information see The Slide Show.